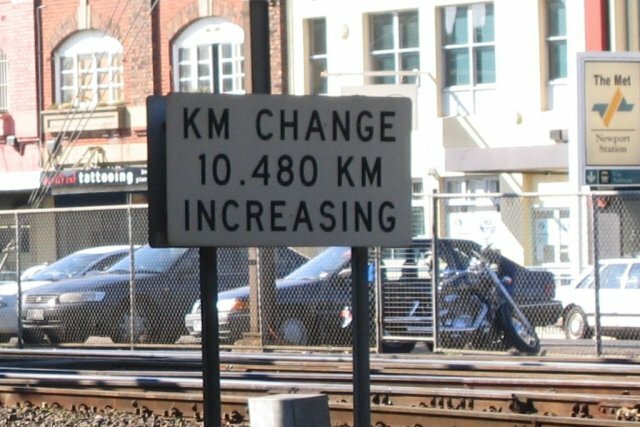 Distances on the Victorian rail network are all measured from a track datum point in Melbourne. 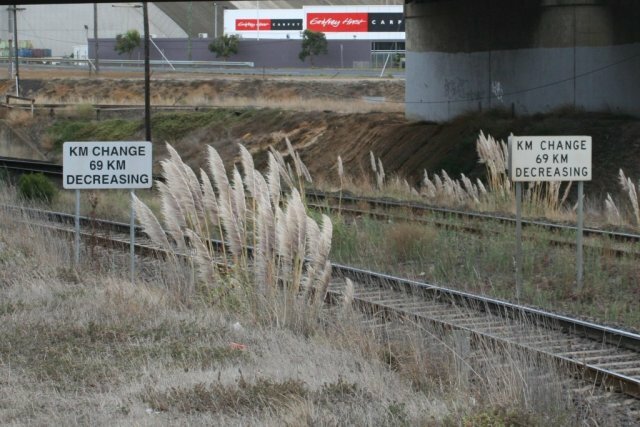 Some locations can be reached from Melbourne via multiple routes, which results in a change in track distance markers where the routes converge. From Newport trains can reach Melbourne via the original direct route via Spotswood, and the indirect freight line via Brooklyn and Tottenham. 10.480 km increasing in the up direction. 10.700 km increasing in the down direction. Manor Junction can be reached via the original direct route via Werribee, or the longer Regional Rail Link route via Sunshine and Deer Park. 47.300 km decreasing in the up direction, 39.200 km increasing in the down direction. 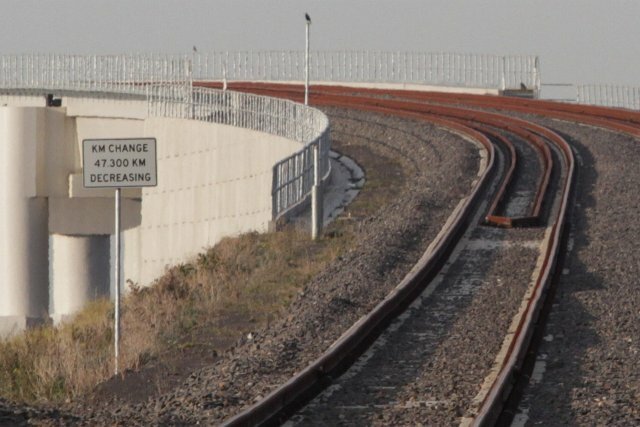 Distances on the Geelong-Ballarat railway were originally measured via the station at North Geelong. 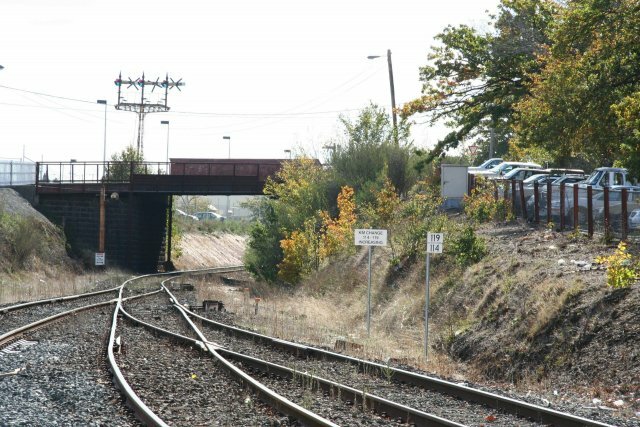 Today trains take a shortcut, using the northern leg of the triangle. 69km decreasing in the up direction. 71km increasing in the down direction. Distances beyond Ballarat are measured via the original Geelong-Ballarat railway. The direct route via Bacchus Marsh is much shorter. 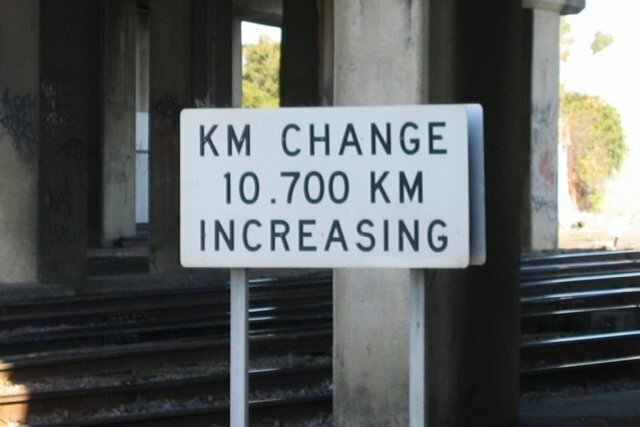 114 km changes to 119 km at the down end of Ballarat station. 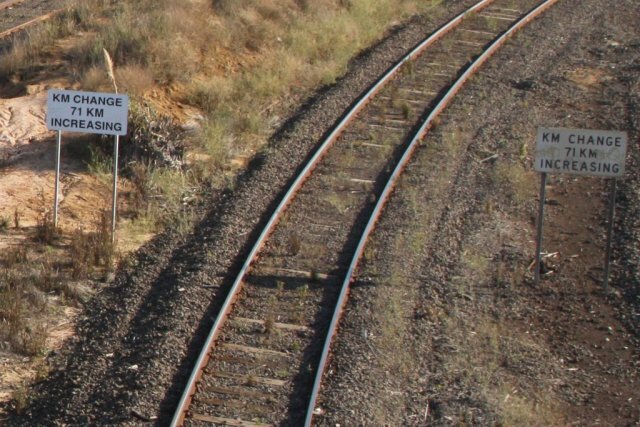 Distances at Castlemaine are measured via the original Melbourne-Bendigo railway. 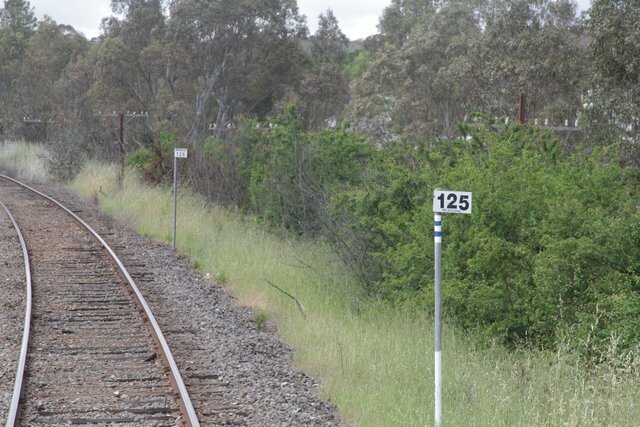 Distances on the branch to Maryborough are measured from the platform at Castlemaine, which means the distance markers parallel to the mainline run in the opposite direction. Currently 125km from Melbourne via the mainline, or 126km when heading to Maryborough via Castlemaine.